Former Russian banker arrested in absentia as part of $520 mln embezzlement case | Russian Legal Information Agency (RAPSI). 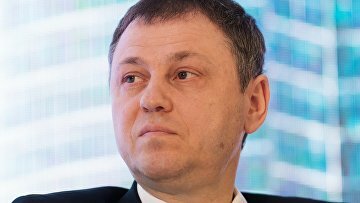 MOSCOW, March 11 (RAPSI) – Moscow’s Basmanny District Court on Monday issued an arrest warrant for ex-president of Otkritie Bank Eugeny Dankevich charged with 34-billion-ruble embezzlement (about $520 million) in absentia, RAPSI reports from the courtroom. According to the court’s decision, Dankevich is to be placed in detention within 2 months after his extradition or actual arrest in Russia. Investigators claim that in the summer of 2017 Dankevich conspired with top managers of two bank’s borrowing companies and retired the firms’ bonds for 34 billion rubles knowing that their actual cost was one half as high. A criminal case was opened against the former banker in September 2018.